An agoraphobic young man battles his anxiety to track down his kidnapped neighbour. On the evidence of his debut, writer-director Sean Spencer may need to develop his writing, but he's arrived fully formed as a director, and in an industry bereft of black filmmakers, his is a name to look out for. 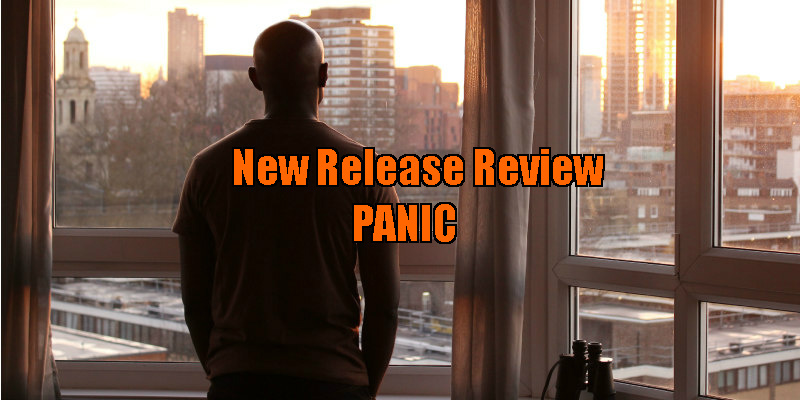 Rear Window meets The Searchers in writer-director Sean Spencer's feature debut, Panic, which sets its drama against the backdrop of the increasing isolation felt by those who live in the world's major urban centres, in this case London. Eight months after falling victim to a violent assault that has left him with a distinctive scar on his chest, music journalist Andrew Deeley (David Gyasi) still can't bring himself to leave his high-rise flat. He manages to continue his profession by reviewing albums and conducting phone interviews with musicians, but he refuses his editor's requests to return to live gig reviews. Over the months, Andrew has become obsessed with spying on the pretty Chinese girl (Yennis Cheung) who lives in an apartment visible through binoculars. One night, a woman, Amy (Pippa Nixon), calls over to Andrew's apartment after making a connection on an internet hookup site. After a somewhat awkward sexual encounter, Amy picks up Andrew's binoculars and sees a large man seem to hit Andrew's Chinese neighbour, before pulling down the blinds on her windows. Not wanting to get involved, Amy flees, leaving Andrew to process what just happened and how he should deal with it. Rather than calling the police, Andrew decides to take matters into his own hands, breaking into the woman's apartment in search of clues. This leads him down a path into London's Chinese gangland, severely testing his anxiety on his Ethan Edwards-esque quest. 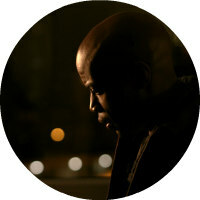 Gyasi, whose prior CV consists mostly of TV roles and movie bit-parts, is a revelation in the lead role here, selling his character's vulnerability in convincing fashion. Whenever Andrew finds himself in over his head, we genuinely fear for him. Humphrey Bogart he ain't; when a Chinese gangster produces a clothes iron as a potential interrogation aid, Andrew weeps like a dog who knows he's being brought to the vet. It's a refreshing change from the stereotypical screen portraits of black masculinity we're all too often presented with. Spencer spins his tale in an organic fashion, keeping us guessing for just the right amount of time, dishing out information just when we need it. He builds up a tense atmosphere, with every new character introduced as a potential threat to his leading man. In the film's final act, Panic loses much of its momentum and ultimately fades out on a somewhat abrupt and not wholly satisfying ending. More of the unconventional relationship between Andrew and Amy would have been welcome, as the film's best scenes are those featuring the duo. On the evidence of his debut, Spencer may need to develop his writing, but he's arrived fully formed as a director, and in an industry bereft of black filmmakers, his is a name to look out for. 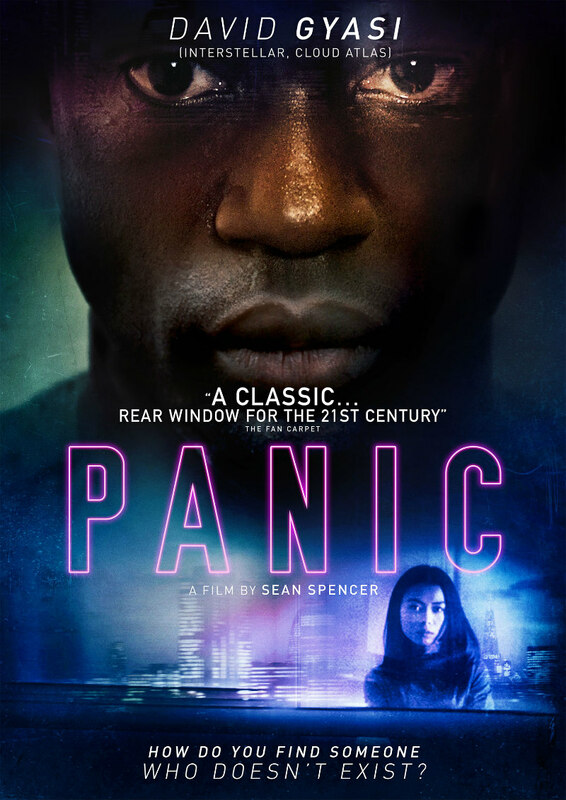 Panic is in cinemas 18th November, and on demand 21st November.